You know how sometimes you just feel you want a boost? Perhaps something to give you energy, or if you’re a little run-down, something to boost your immune system? 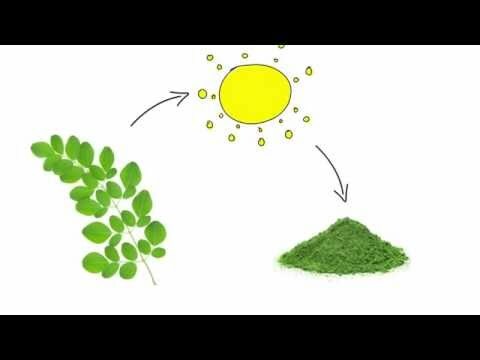 Did you know that Moringa is actually a natural organic Multivitamin? It's rich in vitamins and minerals. SAVE £2.70 with Special Offer below. For more energy and a 'pick-me-up', they contribute to the reduction of tiredness and fatigue, and to the normal function of your immune system. Moringa is from the green leaves of the Moringa Tree, commonly known as the 'Miracle Tree', because the leaves are so nutritious. The leaves are hand-picked, dried naturally, preserving maximum nutrition, and then ground into a fine powder. Ingredients: 100% Pure, Soil Association Certified Organic Moringa Powder. Sexual Health... Moringa contains Zinc, which contributes to normal fertility and reproduction. Reducing Tiredness... Vitamins B2 B12 and Iron in Moringa contribute to the reduction of tiredness and fatigue. Vitamins B1, B2, B6, B12, Calcium and Iron, contribute to normal energy-producing metabolism, and Iron to normal oxygen transport in the body. Flatter Tummies & Weight Loss... Moringa can help as part of your diet plan, because it's high in fibre. High fibre foods help you to feel fuller for longer, so you're less inclined to over-eat. However, many of us don't get enough fibre. The UK average is just 14g a day, and you should aim for at least 18g a day. Moringa contributes to your recommended daily fibre intake, and 10g of Moringa will provide about 4.9g of fibre. Digestive Health... Calcium in Moringa contributes to the normal function of digestive enzymes, while Zinc to normal carbohydrate metabolism, normal acid-base metabolism, normal macronutrient metabolism, and normal metabolism of fatty acids. Skin, Hair & Nails... Vitamins B2 and Zinc, contribute to the maintenance of normal skin, and Zinc to normal hair and nails. Mental Health… Vitamins B1, and B12 contribute to normal psychological function. Iron and Zinc to normal cognitive function, and Calcium to normal neurotransmission. Physical Health… Vitamins B1, B2, B6, B12 and Potassium contribute to the normal function of the nervous system, while Zinc, Iron, B6, and B12 contributes to the normal function of the immune system. Antioxidants found in Moringa, including vitamins B2, and E, contribute to the protection of cells from oxidative stress. Protein, Zinc and Calcium contribute to the maintenance of normal bones, Protein to both a growth and maintenance of muscle mass and Potassium contributes to normal muscle function. Heart & Blood Pressure... Vitamin B1 contributes to the normal function of the heart, and Potassium to the maintenance of normal blood pressure. Vitamin B2 contributes to the maintenance of normal red blood cells; Vitamin B6 and B12 to normal red blood cell formation and Iron to normal formation of red blood cells and haemoglobin. Iron also contributes to normal oxygen transport in the body and Vitamins B2 to the normal metabolism of Iron. "It's wonderful! I feel much brighter and lighter in myself since taking it. Thank you x" - Sarah. For more energy and a 'pick-me-up', Moringa's rich in minerals which contribute to the reduction of tiredness.